Narrated for the most part by a Chinese student leader now in exile, this film begins with the events of his miserable early life under Mao and leads chronologically up to and through the Tianamen Square protest and massacre. As is revealed in this telling, Mao’s red hell had not only been a complete nightmare for millions, it had also been nearly hermetically sealed off from the rest of the world. After Mao died, China’s new leaders took a baby-step in the direction of liberalization and decided to allow a small degree of public criticism of the government and some exposure to the West. Pretty soon people were asking the sorts of questions totalitarian governments hate to hear, like “Why the heck are we living like this?” Worse, they started to ask those questions in the middle of the high-profile Tianamen Square, in a large, chanting group called a “protest,” an unfamiliar concept to the country’s authoritarian rulers. 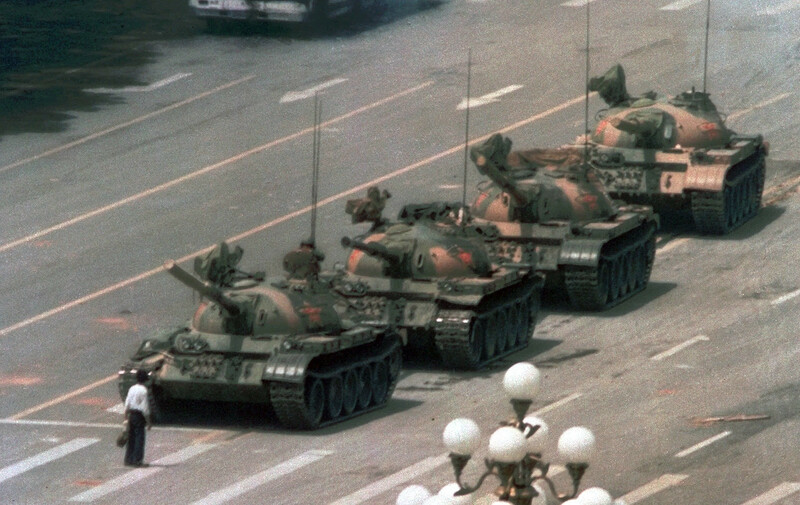 This protest attracted an amazing two hundred thousand students and supporters, and so embarrassed the Chinese government that it did what such governments always do in times of crisis: it sent the tanks in. A few protestors escaped—sometimes, ironically, because they were identified from wanted posters by ordinary people who helped them instead of turning them in. These escapees, interviewed here, tell their tales of courage, hope, and pain. It’s touching, but listening to them and watching all this, you realize that as much as these brave young people want more liberty in China, they don’t know much about how to achieve it. Clearly we libertarians have a lot of educational outreach left to do. In artistic terms, Moving the Mountain is a cut above average and it includes a great deal of footage of the Tianamen events as well as extensive interviews.